Pre Owned Watch. 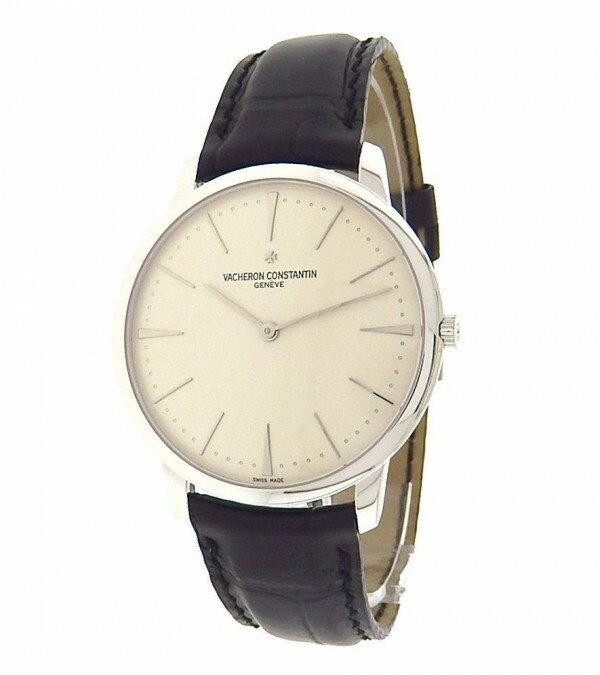 Own this beautiful Vacheron Constantin Patrimony Manual Winding watch and love its Style with its 18k White gold casing and Black Leather strap with a beautiful Silver dial. This watch is pre owned and may show some usage however is still in working condition and good physical condition. The watch does come with Vacheron Constantin box and papers. 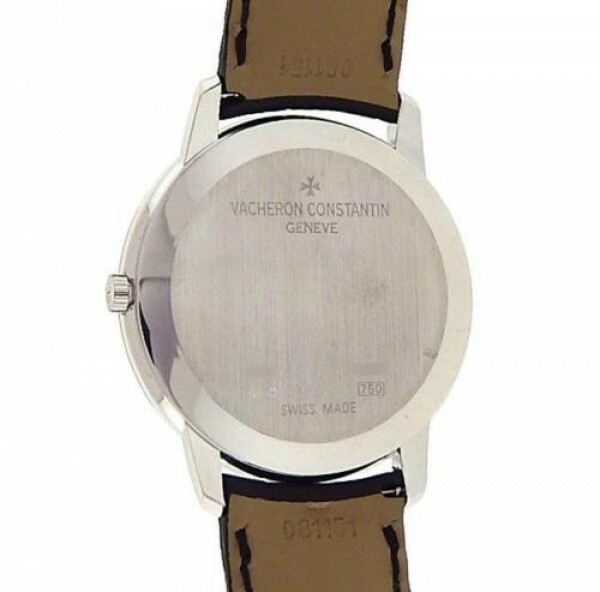 Excellent like new condition, slightly used Vacheron Constnatin Patrimony Mechanical Manual winding dress watch. 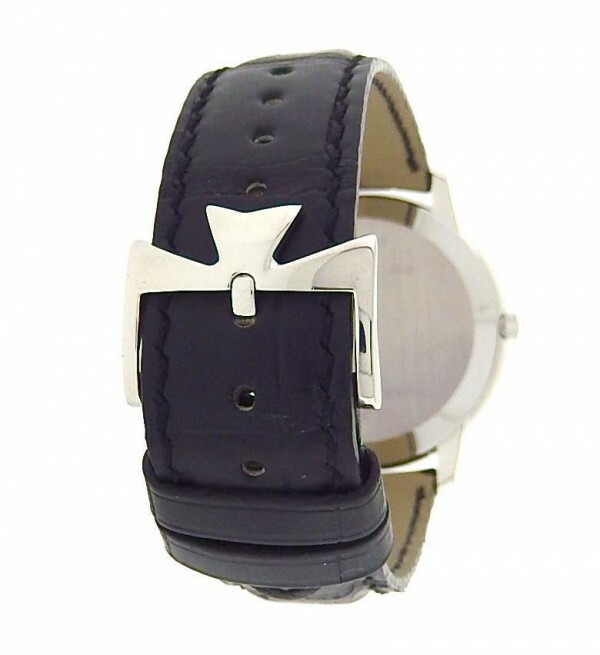 The watch is in excellent - like new condition with minimal to no signs of previous wear. The movement is in perfect condition and always keeps perfect time. 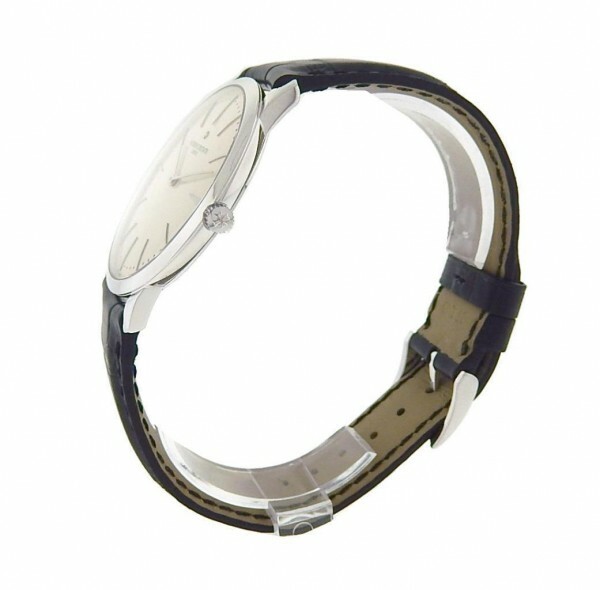 The overall condition of this watch is excellent - like new, true show room condition watch.